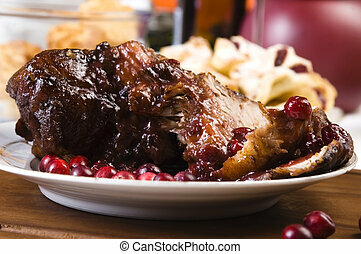 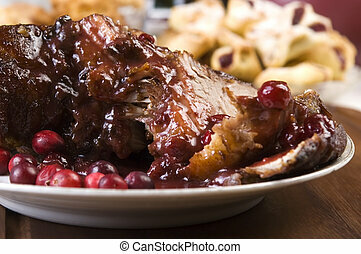 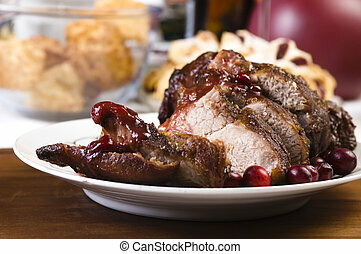 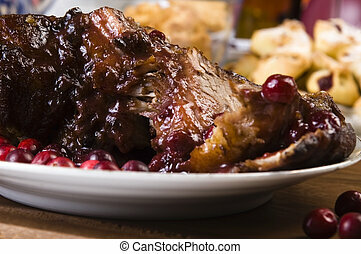 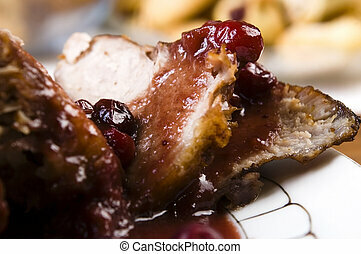 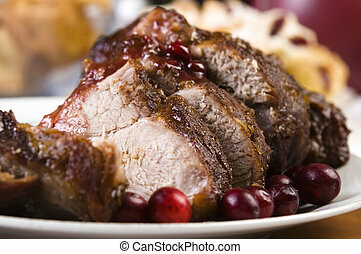 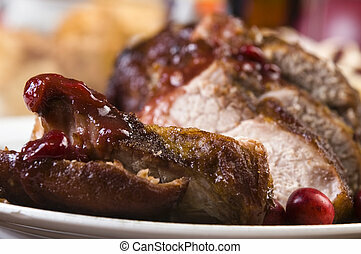 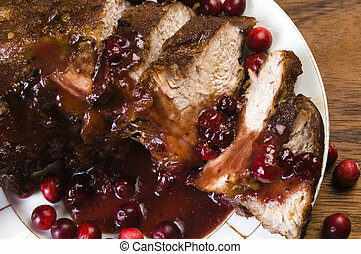 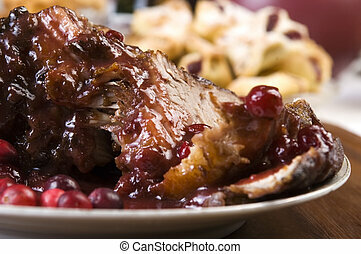 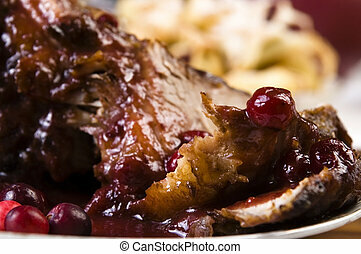 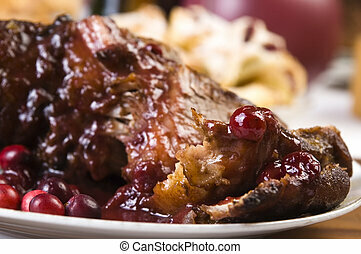 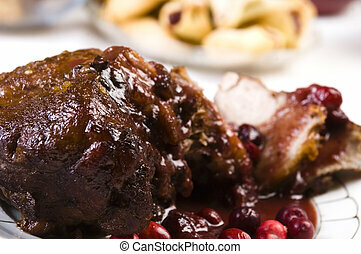 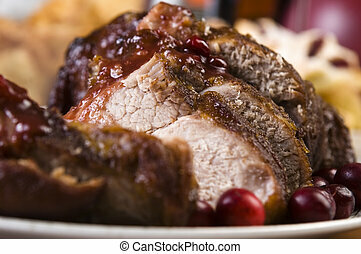 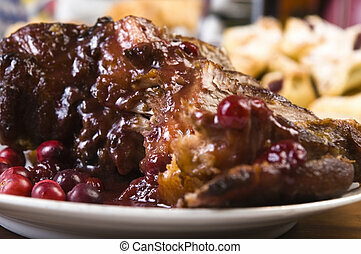 Delicious baked meat with cranberry and spices. 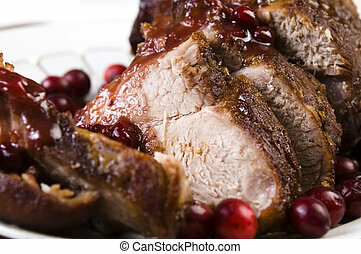 Christmas and new year composition with delicious baked meat with cranberry and spices, spruce branches, cutlery on light gray surface, copy spice. 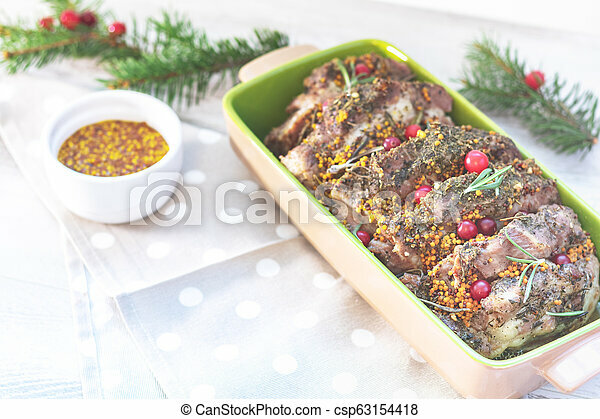 Christmas and New Year composition with delicious baked meat with cranberry and spices, spruce branches, cutlery on light gray surface, copy spice.